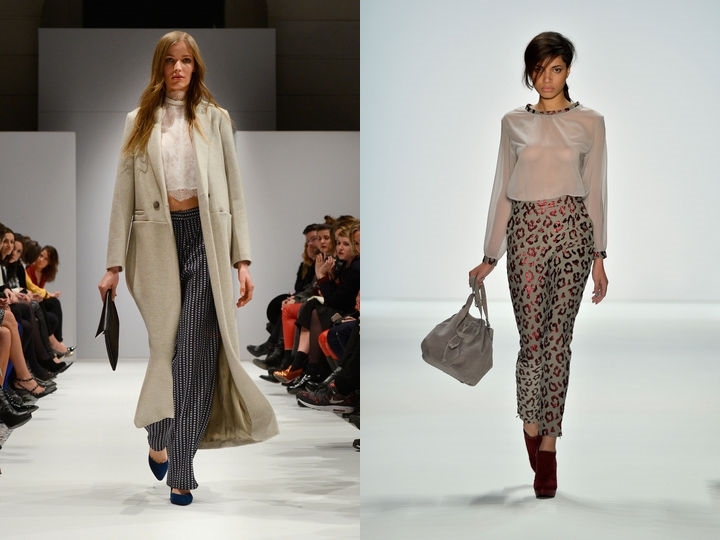 And now the second part of my Berlin Fashion Week insights. Instead of copying the trends, what can we learn from them for our own style? As I love burgundy a lot I have a burgundy sweater, skirt and tights. Why not wear it all together?! Plus I definitely need something in my closet that has this flashy coral-red! #11 LBD, sexier than ever! How awesome is this first little black dress? I can't get over how pretty the tulle detail is! Definitely need a dress like one of these as any women should have a LBD anyway. Good news, we will be able to wear our beloved tartan shirts, coats and skirts again next winter. #13 Floor-length will be enough. This first coat/cape is just super cool. The XXL length adds a special effect to every outfit. #15 Jeans will be jeans. Jeans have always been popular and will always be. 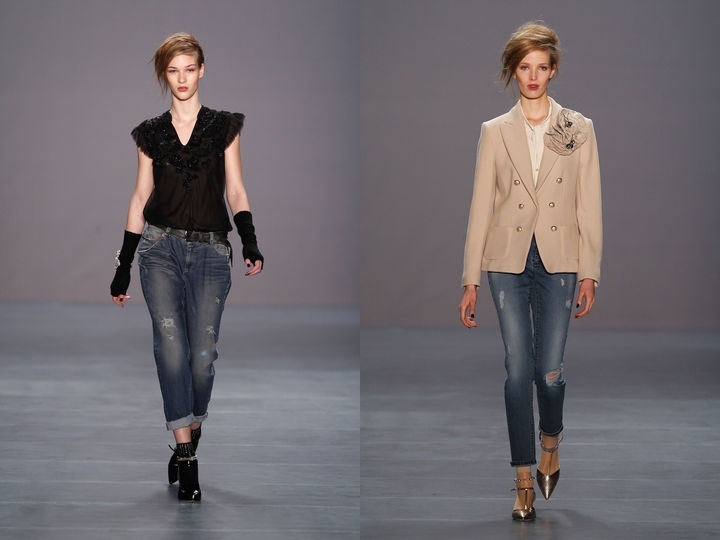 I couldn't imagine living without them and I'm glad that both boyfriend jeans and my favourite jeans combination (skinny jeans, blazer and pointed heels) have been represented on the runway. #16 1001 way to wear a foulard. I have many foulards but never wear them as I don't like the conventional ways of tying them. These two methods are classy and chic so I will give them a try as soon as possible. XXL scarfs have always been a passion of mine. 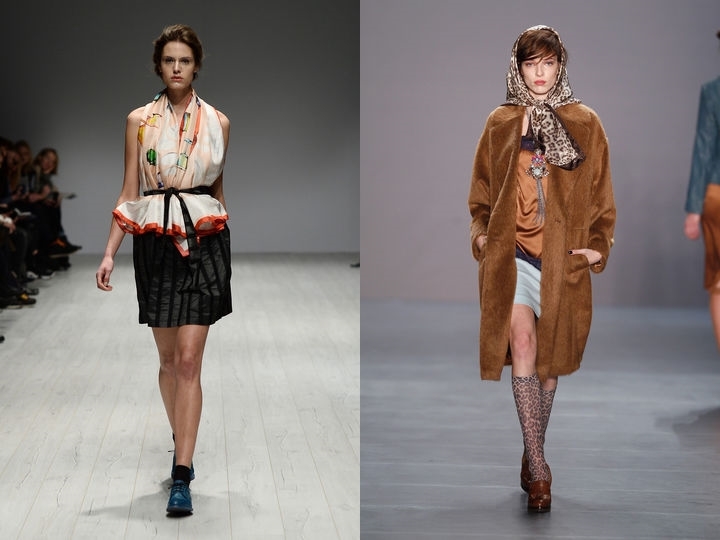 Again two cool ways on how to wear them! Besides jeans I love statement pants and I definitely need a pair like the first one for summer and winter! 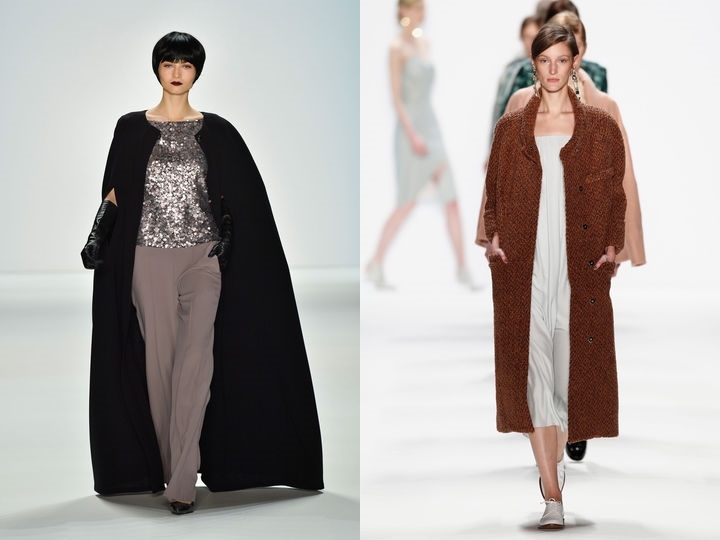 So that was it for my favourite trends from Berlin Fashion Week. You can read the first part here. Do you want me to make similar posts for the other fashion weeks as well? How did you get inspired by runway looks? Fabulous selection, very inspiring. Love first burgundy outfit, it is so chic ! Glad to know that BF jeans will still be in trend.. I love them too much! 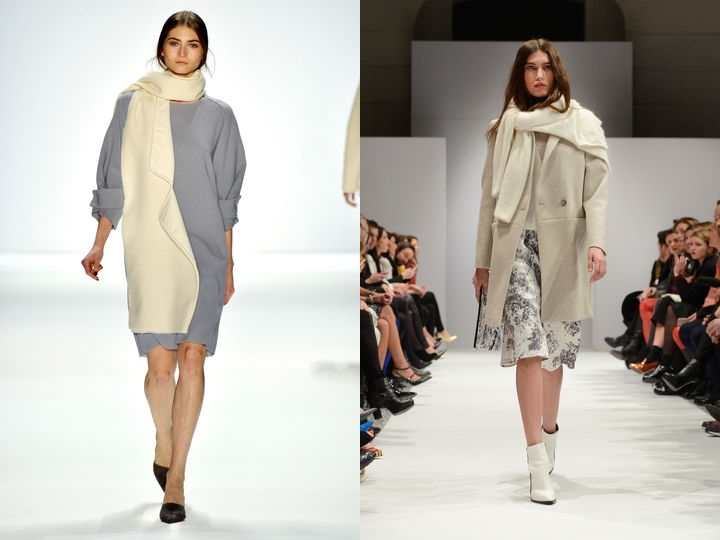 These are very nice clothes and colours coming from the Berlin Fashion Week. 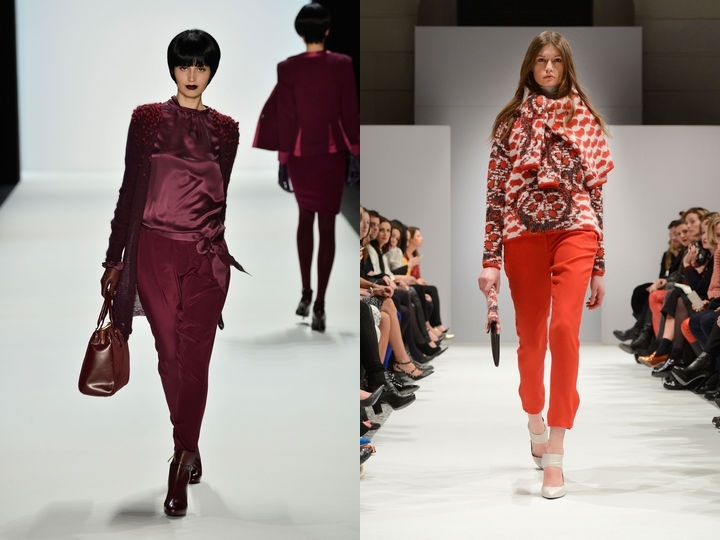 it is interesting to learn about other fashion designers and see their work in the runways. so many wonderful looks - is it wrong to be excited about next AW already?! Ooh I just look a pair of statement pants - I so want! I love that the Tartan print is a keeper! Great job! I love statement pants. The prints are so gorgeous. HAHAHA Jeans will always be in. I love the blazer she is wearing with hers. I really liked this kind of post. You should definitely do more. I like some of the coats and the huge scarf!